I am new here. I collect Japanese toys, specifically, Takara packaged Transformers. I started this year, by buying the "Encore" line. So far, I have 1-19 + a couple variations. 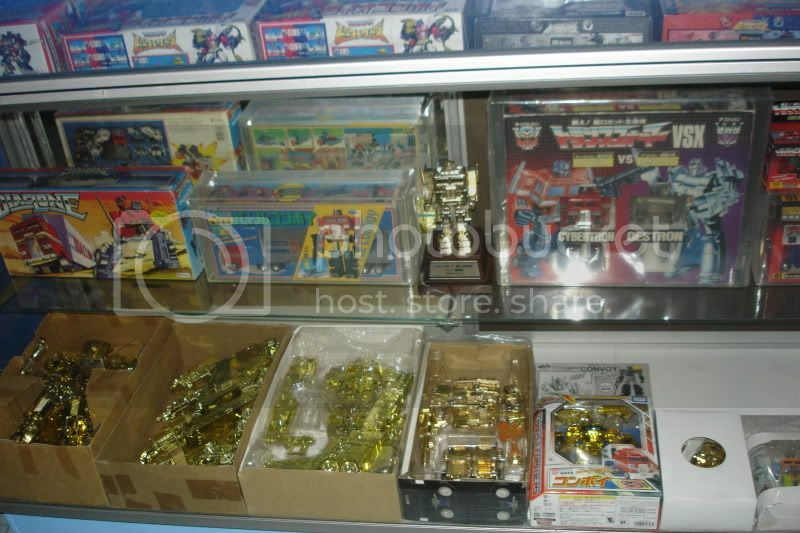 I also have several Japanese toys that came from vending machines, some Mugenbine; etc. I find foreign packaging(s) very appealing, and therefore: I collect what I collect. I'll post pics of my fledgling collection ASAP, but I would like to hear from the community: not a justification, but rather, why one collects what they collect, especially the loose collections. And please; NO offense is meant here. Please don't misinterpret this as judgment, and/or elitism: just looking for other perspectives. I don't/won't sell my Transformers collection anytime soon; but why open them??? I buy them for their original intended purpose, which is not to be stuck in their packages. You've nailed it right there, these are toys. I collect transformers because as a kid the idea of a robot that changed into other things was incredible and if you told me then than I would have a better time if I left it in the box and never touched I would have thought you were out of your mind. I know if I said something like that to my 8 year old nephew today he would just look at me like I was crazy. My personal opinion comes down to this, and bare in mind I have no issue with what or how fans collect, it is simply logistics. -- If you are buying the item, opening it, getting to display it as you want, or playing with them, you are collecting them for what they are, Cool toys. -- If you only buy pieces based on perceived value and are more concern with it's possible resale value by keeping it MIB then you aren't collecting Transformers, you are trading a commodity, and you would be better off in the long term investing in viable stocks, bonds, or a mutual fund. Because Transformers toys are tactile. They are meant to be handled, changed, displayed, and altered. These are some good points. I don't look at the Transformers as being an investment, as I don't see them appreciating past the point of what I pay for them. However, I guess it's some coldness that prevents me from removing them from their boxes. I do have some that are opened, (Takara Hot Rod, Kup & Ultra Magnus)and that I paid a good deal for. 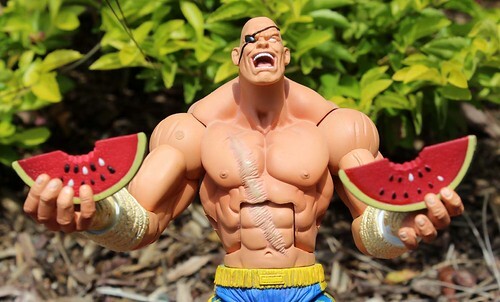 In the mode of collector, I am willing to buy opened toys, or toys with banged up boxes if it's a character I need, but I have NO interest in loose toys. For me, the box graphics, and the unopened presentation are the aesthetic selling points. I had loads of G.I. Joe, GoBots and Starriors as a kid; but very few Transformers, and only one of the bigger ones (Cyclonus) because of the price. As an adult, it thrills me to be able to afford toys I didn't have, but wanted as a youngin'. However (and I do have a collector friend that buys & opens toys) I still think opening them is weird. Thank you for your responses though; and awesome collection, bro. Hopefully my interest will last long enough to build those kinds of numbers! I collect to display. If I can't display it.... it is gone. I am a MISB collector. I love mint toys and untouched toys. That's why MISB is the best way to go for a collector like me but I do have my loose too. I look at my toys as art work and its not about playing with them but enjoying having something that holds sentimental value. I think you summed up exactly how I feel Ultra...I'm not too picky about the MISB part though; as long as the Transformer is it's box, looking as it would have looked as I gazed at them in awe and with longing in the toy stores of my youth -them I'm sold. monkeyradio1 wrote: As an adult, it thrills me to be able to afford toys I didn't have, but wanted as a youngin'. You wanted these toys years ago when you could play with them and enjoy them. Now, you can buy them, but don't play with them and basically admire them for their packaging. And you find it weird that a fellow collector opens his. You do realize how that seems..."off", right? I have never understood why people buy MISB TFs to keep that way. I never have, and I never will. 1.) They already take up space as is, but you throw in their packaging and it's just a recipe for disaster. 2.) How can you truly admire it if you don't use said item to it's full potential? (This is one of the reasons why I've never liked AFA. I find a total waste. Both time and money.) I can see it for a "Holy Grail" Über rare TF, but your run of the mill figure? Why? 3.) We buy them for the same reason you do, we didn't have them as a kid and now we get to have them. But the difference is, we actually take them out of the package and transform them. Why sit around and gaze at it and wonder what it's like, especially after years or decades, when you can just go open the box and find out and be satisfied? Unless you're (I mean this in the people in general you, not you specifically) planning on making a buck in the future/seeing them as an investment, I fail to see any reason why someone would buy a BOXED toy only to never play with it. That's like buying a sandwich and not eating it. It's wasteful, it makes no sense, and it's just as silly as it sounds. I know my tone is coming across as harsh, but this issue has always bugged me quite a bit. Part of being an adult who just so happens to be a kid at heart, is breaking out the toys, having fun and escaping the real world for a while. Middle aged men in midlife crisis mode go out and buy that convertible they've always wanted. What do they do with it? They drive it to hell and back and have a lot of fun doing it. They get to be the kid they wanted to be, but never could be. They don't shove it in a garage and say "Mmm. Yeah. That was the price of a house, and it's beautiful, ain't it? I most certainly won't drive it. What the heck do you think a car's for? Pfft." They break it in and let loose. We do the same, but with TFs. Leaving them locked away in their cardboard and plastic prisons is no way to enjoy them. If you wish to keep the packaging, by all means, do so, but these are toys and they're meant to be PLAYED with. Whether that's simply transforming them back and forth every now and then, or posing them in killer stances that would make the 1980's you cry from the awesome beatdown the now you just gave him, whatever the method, it's still playing and that's what they're meant to do. Art is meant to be placed on a shelf or a wall and stared at forever. These are not art, no matter how incredible the engineering is. (and some of them do border on works of art, but that's all a matter of opinion...) They're toys, plain and simple, and they should be played with. You're looking at this from a logic standpoint. You're not looking at this from loose and freed standpoint. You're collecting with the serious business mindset, and taking the fun out of it. When it becomes a chore and something that leads you to deep thoughts and the like, they no longer provide entertainment, and at that point, you must ask yourself "Why do I buy these, then?" I'm in a pretty weird boat, to be honest. As a (near) completionist, I end up with a lot of figures. Some of which I like less than others, and some of which I now own many versions of the same mold. If I've already experienced the figure, I'll often leave the repaints MISB, as there's no "surprise" in them, and they look pretty nice MISB. Maybe one day I'll open them. Right now, I'm about 55% open, 40% MISB, and 5% MIB. I also have an odd tendency, and I think I got from Counterpunch, to open the extremely rare stuff, like Noisemaze Production, BotCon Ratchet, and so on in my collection. Leaving them locked away in their cardboard and plastic prisons is no way to enjoy them. Art is meant to be placed on a shelf or a wall and stared at forever. These are not art, no matter how incredible the engineering is. I guess you never been to a museum. Do you know videos games are a form of Art? so is music and many other things. Its not about understanding the way we collect but enjoying the hobby that makes each one happy. You do realize that you've actually backed my point, right? And you're incorrect. You made an assumption about me and museums, seeing as I have been to a couple. Video Games are considered art because they cover several areas, visual, audio, etc. These started off as just TOYS. I can see it for a "Holy Grail" Über rare TF, but your run of the mill figure? Why? You collect nothing but "Holy Grail" Über rare TFs. So, I can see why you'd have them on display only, and never out of package. Your post here is rather pointless, and somewhat offensive what with that assumption and all. And again, thank you for proving my point for me. You missing the point and someone is bitter here. Toys can be art. Maybe not for you bu don't say toys are not art. BTW I like your sig. Jesus is awesome! Art, as is opinion, is in the eye of the beholder. I can see the art and beauty in the package art and in the awesome gold figures, However I am happy with the standard releases and I usually keep any packaging I really like, (thou i normally cut them down for easier storage.) But for me the true art in these figures is their ability and possibility both I find incredibly limited when confined to packing. But a good point was raised. If you are only collecting special and/or rare items which most likely aren't going to be opened, there is a intrinsic difference between that collection and say CounterPunch's linked to above which is made up with large numbers of regular store acquired items. But if you are going to use a museum analogy, 1) Is that actually a shot taken within a museum or your collection? 2) If it is your private collection, is it set up for people to see or only your enjoyment. If it is yours, then do whatever you like with them, but please don't call a room where you live a museum. That would like myself calling where the majority of my collection is housed a Gallery, when it fact the proper name would be either "Computer Room" or "Den". I was joking about the museum part but I guess no one can take a joke now and days. I didn't expect anger or bitterness to manifest over my question, but it is nice to see the impassioned responses that came. Playing with these toys is not something in my nature at this point in life. My fledgling collection of Transformers (around 60 Asian toys; mostly Transformers) sit in their boxes, on shelves, in my home office. To me they are part collection/part of a juvenile sense of home decor. I do look at them as works of art to a degree, but more specifically, as nostalgia from my youth; "holy-grails" from my child-hood that I am now able to possess. My question was about whether people opened their Transformers or not. My question was not about "playing" with these toys. My son is in infancy, many years from toys of this nature. Playing with your children is one thing, however, I was addressing adult collectors; and whether they displayed their collections in the box or out of the box. I certainly didn't mean to spark such "controversy". Let me reiterate: Transformers ARE NOT something that I will be able to make money on, nor am I looking at them as such. If it's cost, or personal preference; that is an acceptable answer, and I appreciate those who coolly and calmly expressed those sentiments. Just so many different ways to collect but some people need to understand that there is no wrong way to collect unless you looking to get a buck from it.... which is not bad if you are a dealer but each to is own. I am a MISB collector and not because I am looking to sale but to preserve a bit of my childhood. Even as a kid(8 years old if I recall) I kept some toys sealed because they were just cool to have. BTw When can we see some pics??? I didn't expect anger or bitterness to manifest over my question, but it is nice to see the impassioned responses that came.My question was not about "playing" with these toys. Here's the problem, you didn't intend it, but you came across as abrasive in some parts of your post, so it's expected that some would be riled up over it. I include myself in that list of people. And here's the problem with your question..."playing" is a form of collecting, because some of us collectors buy them for the chance TO play with them. Saying that they're separate is untrue. Some can have one without the other, but not all people do. monkeyradio1 wrote: My son is in infancy, many years from toys of this nature. Playing with your children is one thing, however, I was addressing adult collectors; and whether they displayed their collections in the box or out of the box. Wow... I'm not sure you took a good look around but the majority of us ARE adult collectors! Even the ones who play with the figures! Like me! Just because we don't collect the way you do, doesn't change the fact that we are adults, just the same as you. Perhaps we're a bit immature because of it, but so what? monkeyradio1 wrote: I certainly didn't mean to spark such "controversy". You know? I'm not entirely sure that's heartfelt. You say it's inadvertent, and not intentional, and so on. Well, if that is the honest truth, if that's really the case, then you sir, have bad luck when it comes to choosing words to get your point across. I say rude and crude things, but I make it clear that that's my point and intention. Every once in a while I'll make a post that's unintentionally offensive, we all do, but you've had two posts in this thread that have struck a nerve. And people may not be voicing it, but I can't be the only one. Out of all the members on this board, lurkers, or people just passing by, I can't be the only person who saw all of this and said "Yeesh, that's...harsh." I'm willing to say it's possible that this was unintentional, I'm willing to give you the benefit of the doubt, but can you blame me for seeing it this way? I mean some of the comments have a... "tone" to them. And some of us see it simply as a topic of discussion. Which is the whole point. For the record, I'm 35. I just don't see the appeal in something that should be dynamic (posed and in character) than static (trapped in plastic). As a kid? Hell, I STILL think it's incredible. I play with them now and think about the engineering that went in to designing them. Then that part of me that had me in Engineering for a year kicks in, and I try to figure out what else I can do with them other than what the instructions say. I've no need to make further appeasements; it wasn't my intention to angry up the blood, hurt anybody's feelings, nor was I asking anybody to defend how they collect. I stated my opinions about collecting, and what appeals to me. I was asking for other peoples' opinions, not a discussion of semantics. 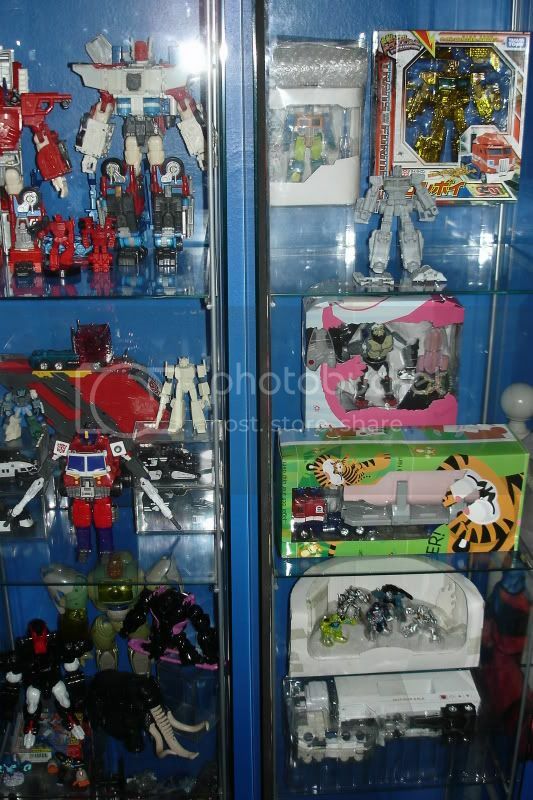 What I gather, is that those who collect Transformers display their collections opened due to the uniqueness of their design. Yes, I know there is redundancy in that statement, but I feel that this choice exists in Transformer collecting, where as other fanatics of collecting toys would predominantly choose to leave them closed. I certainly think this speaks very highly of the innovation of Transformers as not just a toy; but as a cultural phenomenon. Many years ago, I collected Star Wars toys, and displayed those encapsulated as well. I was associated with a few related collector forums, and the predominant consensus was to keep those toys MISB and MOC whenever possible. When I was collecting Star Wars, however, I was collecting them to flip them for a profit. Transformers (aside from human skulls) are the first thing I've collected as an adult, unless you count Blu-Rays, DVD & video game accumulation as collecting, and have spent some decent money thus far. I personally cannot, in good conscious, pay $250 for a 1986 Takara Ultra Convoy, wait two weeks for it to arrive from Hong Kong, and then remove it from the box. So, yes; as I stated before: there is a coldness about how I collect, but I certainly am not having less fun doing it. So; enough of all this. Thank you for your responses, and hopefully we can all agree to disagree. PS: Hoping to take and post some pics of my humble collection this evening, Ultra...thanks for the posts! ....Please tell me that's actually a joke. I just want to say... Welcome to the Fandom, MR1 and I hope you find a home here. monkeyradio1 wrote: I personally cannot, in good conscious, pay $250 for a 1986 Takara Ultra Convoy, wait two weeks for it to arrive from Hong Kong, and then remove it from the box. Each to their own, but i think you are cheating yourself of the pleasure/enjoyment/excitement of opening a TF for the first time. I'm into both history and art. I see Transformers toys as a piece of both. The vintage toys and boxes I buy, I try and preserve in the condition they arrive in. Yes, sometimes I have a quick fondle, but I'm always exceptionally careful (I even polished the chrome on my G1s with a dry cloth - it makes Megatron and Swoop look awesome. It'll also prevent the oil from my hands damaging the chrome). Should I ever obtain MISB vintage figures - I'll keep them that way, as an example of how the toy was when fully packaged. As a form of art, the toy itself is a work of art - a wonderful combination of realism (alt-mode), imagination (bot mode) and engineering. The box is a part of this, too - the boxes (esp G1) are designed to present the toy to you, using carefully balanced colours, display windows and artwork. Packaged, a toy can be just as impressive as loose. I actually have two Powermaster Primes (one MIB and one loose) and three vintage G1 Primes (MIB, Truck and robot modes) just because I like to display the toy in the box. I know that Transformers are toys - something to be played with, but they're also fantastic pieces of design work. I appreciated them as more the former as a child and now more the latter as an adult. When it comes down to my collection, I have it down to worth, want, and price. I have bought MIB and loose. I also have quite a few MIB's, just not as many as I used to. My Botcon pieces and exclusives are all on display. The Japanese exclusives I play with because they store back in their packaging easier. As for resale, how well your toys are kept, and how great you take pictures can make the value of loose toys go for more than you paid. Even a few of my Energon and Cybertron pieces I sold loose went for double, or triple the price I paid for them. I try to buy first dibs, or when they have a rollback sale at Walmart or a general sale like at Target, KMart, or TRU. This is a similar dilemma with Hot Wheels collectors. If we knew what we knew back then now, then would we have collectibles, no. What I see with TF's are how well you keep your loose TF's. I have a system of keeping up with my displayed toys. I keep the weapons for all my TF's stored in a bag. Every TF on display does not have his weapons, just the figure. Any small pieces or parts that can be removed are also stored in bags, especially missiles. I have sold, bought, and made collections through careful buying and inspections. Though I have had a few hit and misses, my loose and MIB toys should net me about $8900 if I sold every piece on ebay, and listed them correctly. MIB is more valuable and profitable, no matter how you look at it. TF's to me are one of those toys that can hold their value. Some of my TF's that are valuble are MIB. If I look at someone like UltraConvoy who has a specific type of collection, he should stay MIB. He has some Lucky Draws that are worth money, and he had to pay alot of money to get them. There is no need to free the beast on a $1000 or more toy. Next year will be big for me because of Generations and Takara's 2010 campaign. But my target is going back and collecting Brave Transformers and Black Fire Convoy. I should be working a higher paying job by next year, and so will my wife God willing....I will increase my collection to a new era. Wow. I thought this thread would be done by now. Been on the road a couple days. 3,344 pages were recently viewed by 490 unique visitors. This page was viewed 1 times on Thursday, April 25th 2019 1:31am CDT. © 2019 Seibertron, Inc. DBA Seibertron.com. All Rights Reserved. Established June 2000. Seibertron.com is owned by Ryan Yzquierdo.